I've been talking with the people who were behind the initiative to elect Detroit's City Council by Districts. They're a loosely nit group of small business owners, staff from various non-profits, and so on. 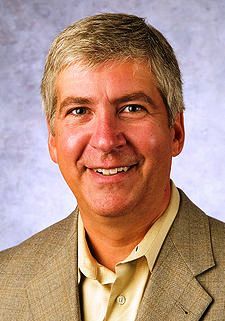 The interesting part is that there seems to be a growing concensus amoung them that Rick Snyder is the guy who should be Michigan's next governor. Many of them appear to be convinced that the Democrats aren't likely to hold on to the governorship this year and Mr. Snyder seems to be the Republican that they like the best. In their assessment, he's moderate on all of the social issues, understands that the economy needs to be his highest priority, and seems to understand the importance of Detroit in any economic turnaround. This is one of those things that I think will be interesting to watch in coming weeks to see how it all plays out. The race for the Republican nomination is currently a three-way tie. This informal group of Detroiters is very media savvy and extremely good at organizing a grass roots political campaign. In short, I believe that they could have a significant impact in selecting Michigan's next governor.